In first-century Greece, a fledgling church was struggling to live out their new faith in a corrupt culture. The congregation at Corinth was mired in contradiction, heralding the power of spiritual gifts and knowledge, yet foolishly engaging in sinful behavior. This troubled church inspired the apostle Paul to write one of his most extraordinary letters. 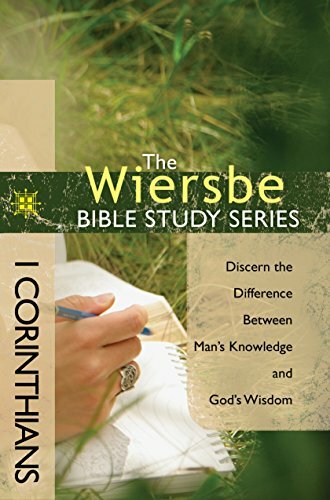 The Wiersbe Bible Study Series explores timeless wisdom found in God’s Word. Based on Dr. Warren W. Wiersbe’s popular “BE” series of commentaries, each study provides topical, relevant insights from selected books of the Bible. Designed for small groups or individuals, this eight-week study explores Paul’s call for wisdom in the life of the believer, a truth that remains as relevant as ever.